Did you know that at Walmart it's spa o'clock all day long because you can find so many of your favorite, hard-to-find beauty brands? 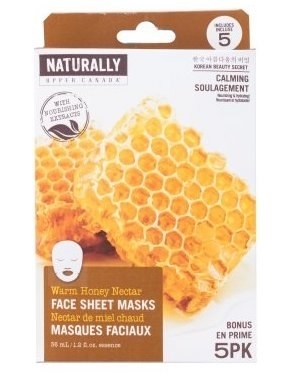 Yep, yep, they carry a wide range of seriously impressive sheet masks. AND many of them are cheaper and ship faster than other retailers (because you need to have spa night NOW)!! 1. 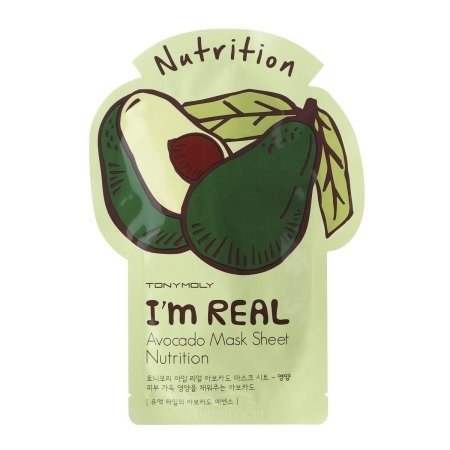 Tony Moly Avocado and Broccoli masks contain three layers of all-natural ingredients to infuse your skin with beneficial oils for a hydrated, bright glow. The avocado mask is packed with avocado extract with micro emulsion–based ingredients to nourish skin and revitalize your complexion. 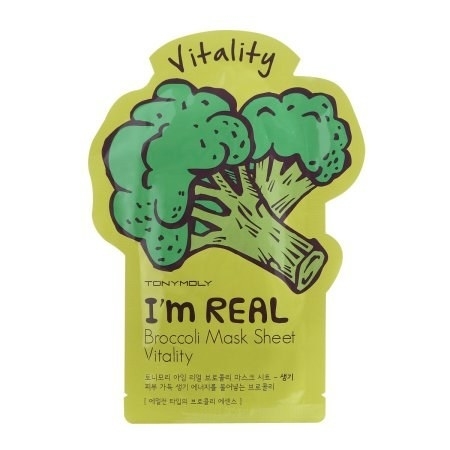 The broccoli mask has antioxidant-rich broccoli extract to provide vitalizing energy to tired skin. 2. Leaders Cosmetics What Happened Last Night? masks restore radiance to hungover skin with ginseng and artemisia extracts (both are known to have soothing effects). 3. Miss Spa masks make pampering affordable and fast. Try Brighten for evening skin tones and diminishing dark spots and Energize for an invigorating, brightening effect. Both are paraben-, artificial-dye-, and sulfate-free! Price: Brighten and Energize for $2.68 each. 4. Found Masks come in five styles to zero in on specific solutions, like congested pores, oil shine, or uneven skin tones. Argan hydrates and replenishes moisture thanks to argan and rosewood oils. It also firms and plumps tired skin for a smoother complexion. Charcoal draws out dirt, oil, and other impurities (i.e. blackheads) with the help of green tea for a soothing effect. Coconut softens and smooths skin while its chamomile component brightens and evens out your skin tone. Cucumber addresses sensitive skin and adds essential hydration while aloe soothes and calms any redness or inflammation. Red Clay clears congested pores and minimizes excess sebum with the help of lemon peel to brighten dull skin. 5. 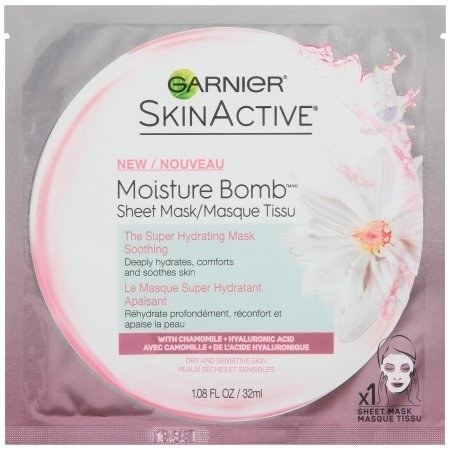 Garnier SkinActive Moisture Bombs deeply hydrate severely dry skin with a lasting effect of up to 24 hours. The mattifying option works with green tea to minimize pores and tackle extra-dry skin. The soothing formula has sensitive skin in mind so it can gently moisturize with chamomile extracts without breaking you out. Price: Mattifying and Soothing for $3.30 each. 6. Hada Labo Tokyo sheet masks fade fine lines, firm skin, and boost shine with deeply hydrating elements like collagen, soy peptides, and vitamin E.
7. SunBurnt Ultra-Hydrating masks help to cool your skin down after laying out in the sun too much by moisturizing with antioxidant-rich ingredients like aloe, cucumber, and marine collagen and boosting hydration with hyaluronic acid. Price: $7.17 (for a four-pack). 8. Flower Cosmetics Power Up! masks revive and smooth skin with black caviar (which is rich in amino acids). 9. Andalou Naturals Instant masks work with wholesome ingredients to leave you looking and feeling extra-refreshed. Tighten and Brighten is loaded with vitamin C, fruit cell complex, and tumeric for a brighter complexion. 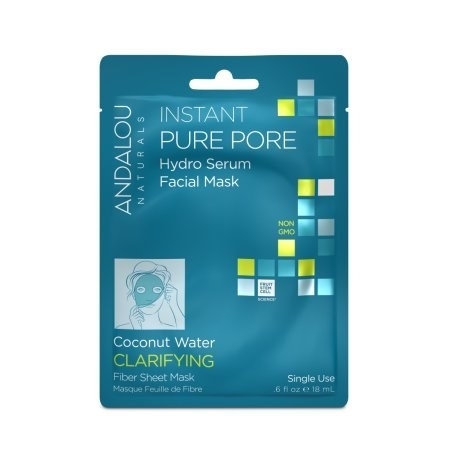 Pure Pore features fruit stem cell complex, willow bark, and coconut water to purify skin from bacteria and calm inflammation. Price: Brighten and Tighten for $3.65 and Pure Pore for $4.99. 10. Soo Ae Pure Detox Mud masks enrich your skin with a special blend of fruit and botanical extracts, including honeysuckle, grapefruit, blueberry, and blackberry to clarify your complexion in the most soothing manner possible. 11. 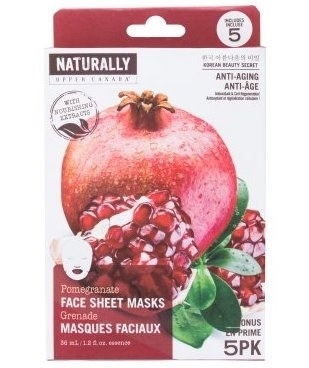 Naturally masks tightly hug your face so you can soak in every last drop of their natural, refreshing ingredients (like pomegranate and honey). Price: Pomegranate for $6.25 (for a five-pack) and Honey for $7.75 (for a five-pack). 12. Neutrogena Hydro Boost masks contour your face to effectively rid skin of any dryness. 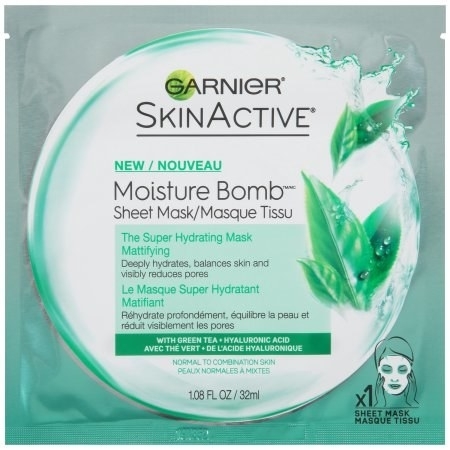 They're made from a 100% hydrogel formula so they can hold up to 50% more moisturizer than regular paper face masks. 13. Diana Gen Black Royal Fish Illuminating Intensive masks restore natural moisture and brightness with cell migration technology (which is fancy talk for diminishing fine lines). Price: $31.60 (originally $35, for a five-pack). 14. Soo Ae Collagen Essence masks each tackle different issues, such as replenishing moisture, firming skin, clearing blemishes, and calming irritated areas. Price: $5.36 for a four-pack. 15. And for a bit of an extra splurge, Guerlain Super Aqua-Masks fortify tired skin with a non-oily, milky gel to defend yourself from external irritants (i.e. pollutants). Price: $99.96 for a six-pack.